A strong contingent from the Tollgate Club joined players from the hosts NETTS at Earls Colne Recreation Club for the Round 1 of the revived NETTS “Top 12” Competition. Arranged monthly at four different levels the top “Premier” Section for County Standard players will start next month. 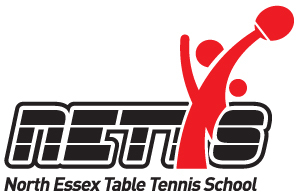 In the “A” section two Premier Division Colchester League players Abhi Peshkar and cadet Ollie Rampton had good wins over NETTS Nikki Davison and Brentwood based Trevor Carter respectively, to reach the final. In a fluctuating match of attacking top-spin Table Tennis Peshkar won by three sets to two match. Davison overcame Carter to take third place. The B-section saw Black Notley’s Takunda Nuerutanga win over NETTS players Peter Hardy and Jack Cains in the top group. Local girl Mia Charles took fourth place by winning Group B on count-back. Section C is designed for social players and young cadet players many of whom were playing in their first table tennis tournament. Two of the younger players competed in the final with Tollgates Toby McLewin taking the top spot with a 3-0 win over Charlie Lunn of Coggeshall. Two of NETTS over 55’s Club members achieved creditable placings in their first tournament. A five set thriller saw Micky Abbott beat Jackie Staplehurst in the play-off for 5th and 6th. The next NETTS Top 12 will take place on Saturday 15th December.